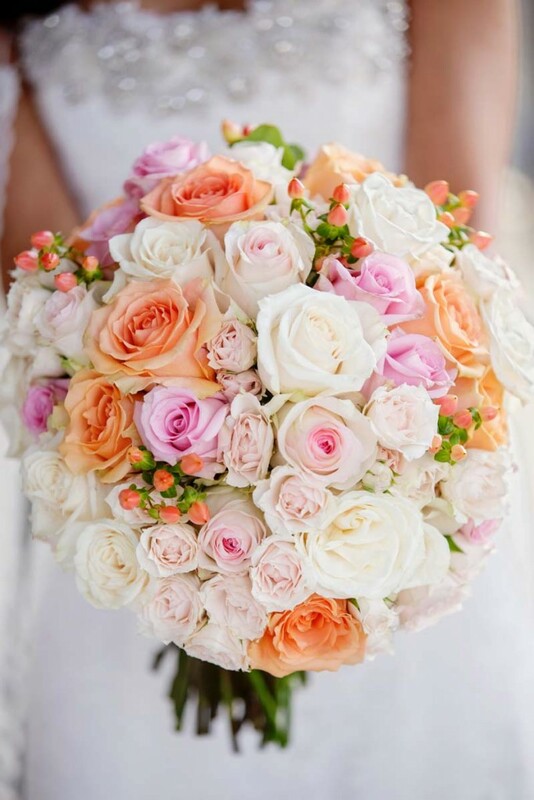 Wedding services for the Virginia Beach area and Richmond. 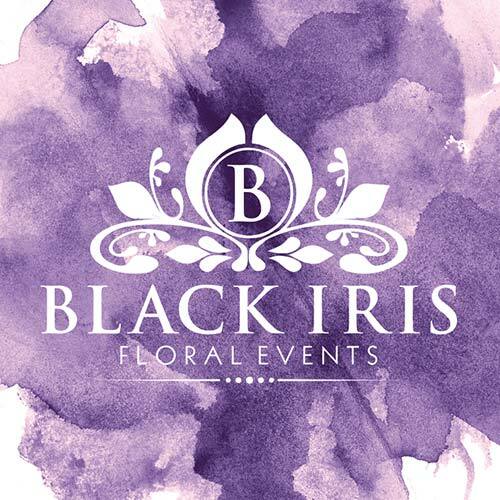 With table linens from Black Iris Floral Events, dining at your event will never be finer. Our collection includes everything from round table linens and chair pads to napkin holders and place-mats. 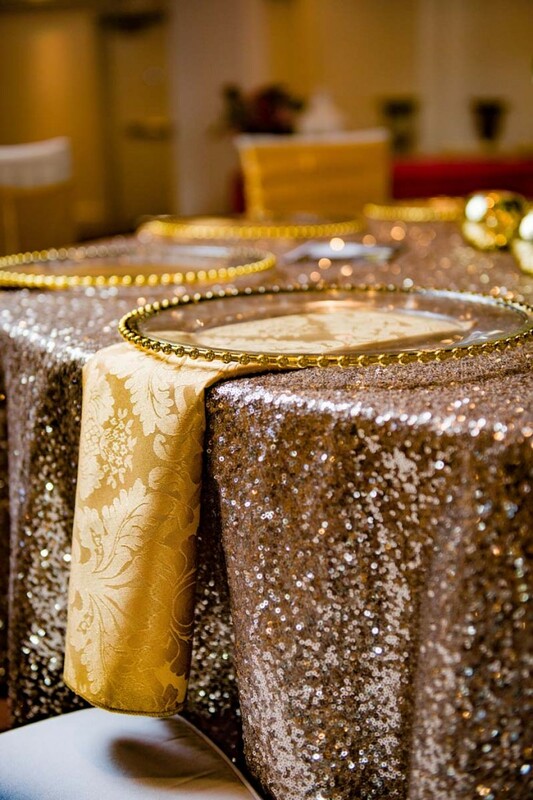 Our luxury table linens are made of lush materials and rich colors. 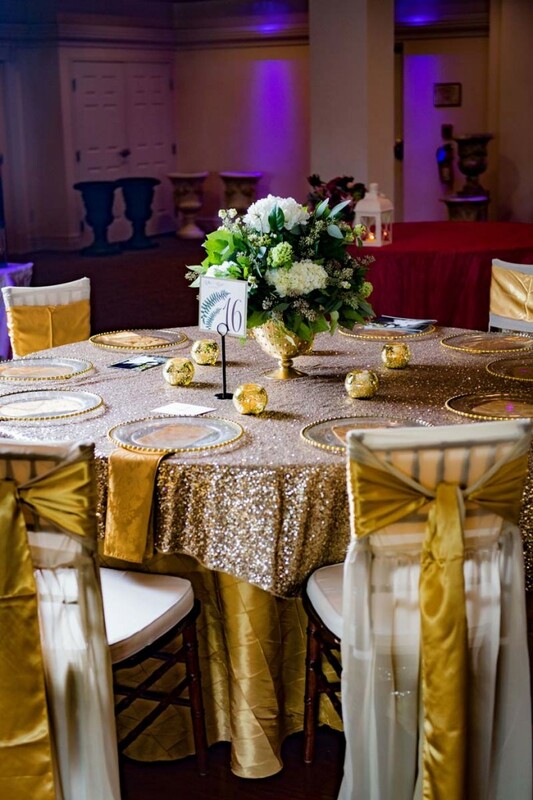 We have beautifully detailed, embroidered and cutout table linens, as well themed table linens that are sure to be conversation pieces. 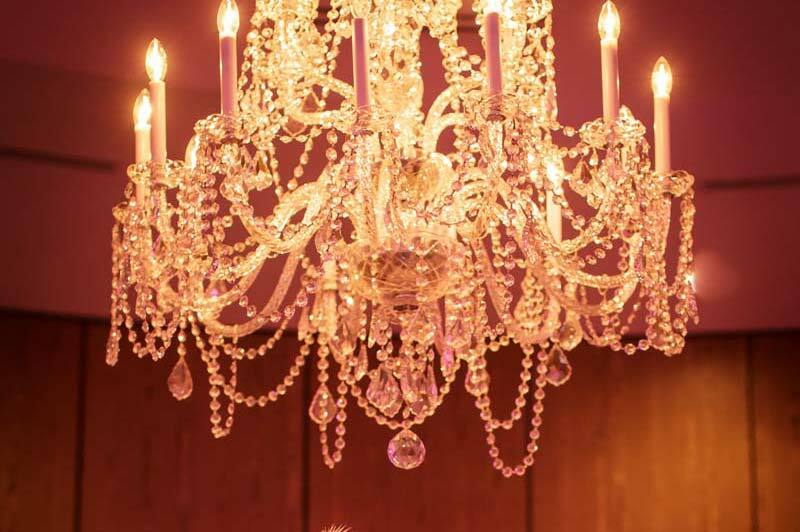 We are excited to help you create the ambiance you’re looking for. The right lighting can make the difference between feeling dull and feeling happy. 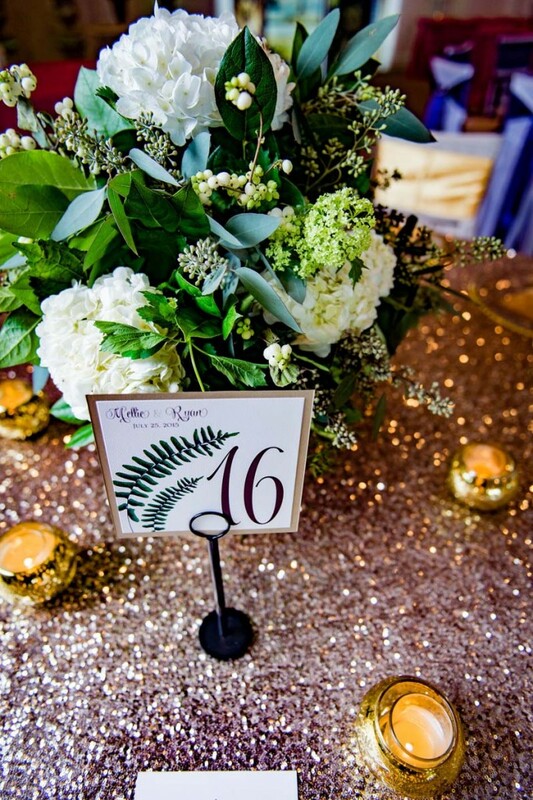 Lighting decorations will add shine and sparkle to any event. We provide accent lighting, up lighting for walls that compliment your theme or colors, truss lighting and special order go-bo designs. We also work with several professional lighting design companies in the area to achieve the best results for your events. Invitations are a must for any event. They allow you a great opportunity to show your creativity and style. 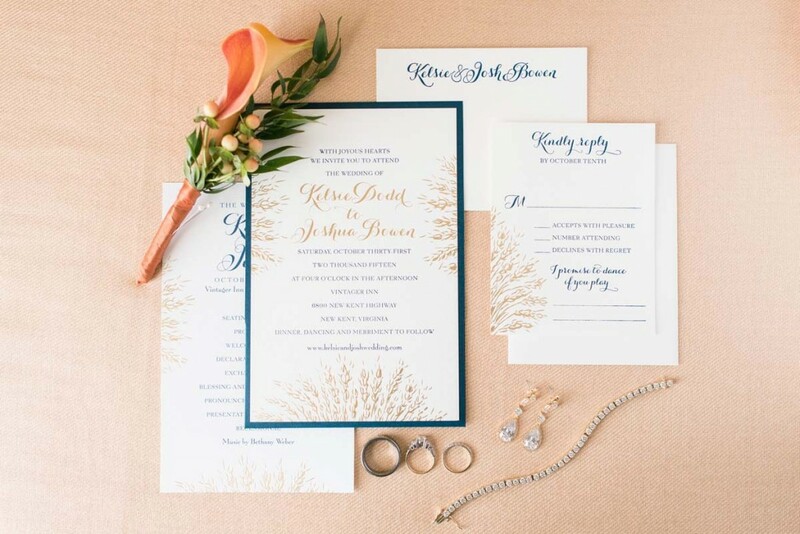 Choosing and designing your invitations are fun parts of planning your event. Whether they are party invitations, bridal shower invitations or birthday invitations, Black Iris can meet all your needs. 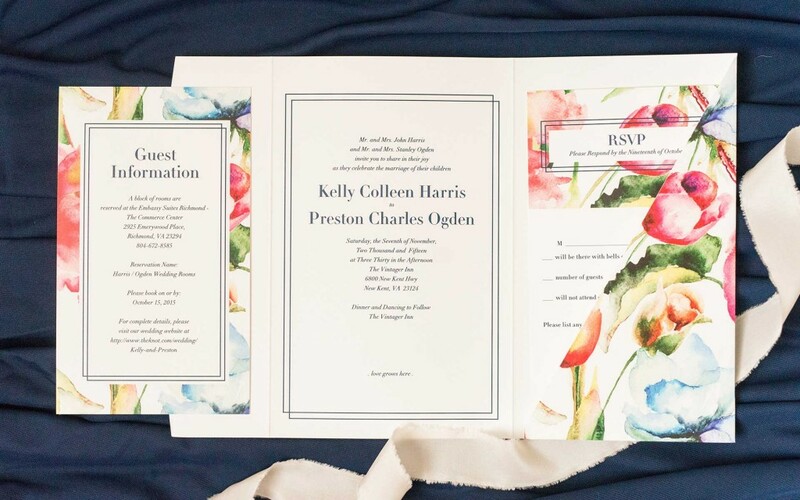 We’re sure to have the perfect custom printed invites for the occasion! Browse our large online selection of invitations. 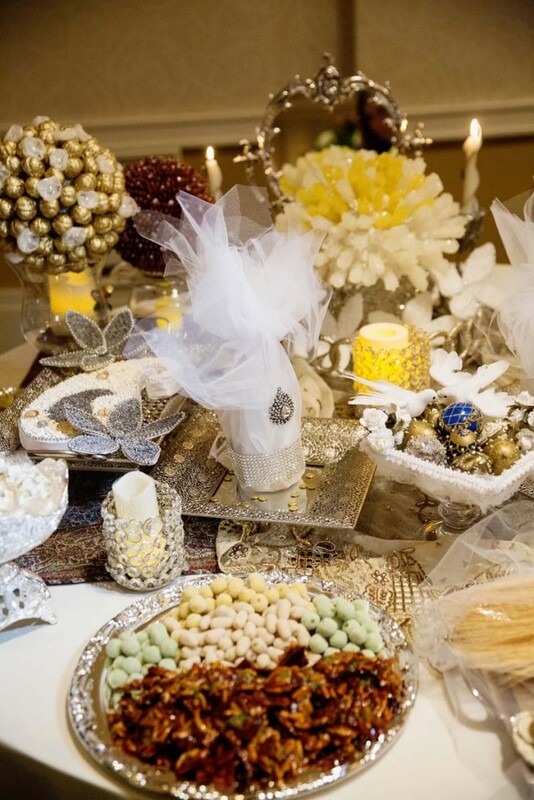 Wow your guests with designer sweetness. Our stunning buffets are a feast for the eyes and taste buds. 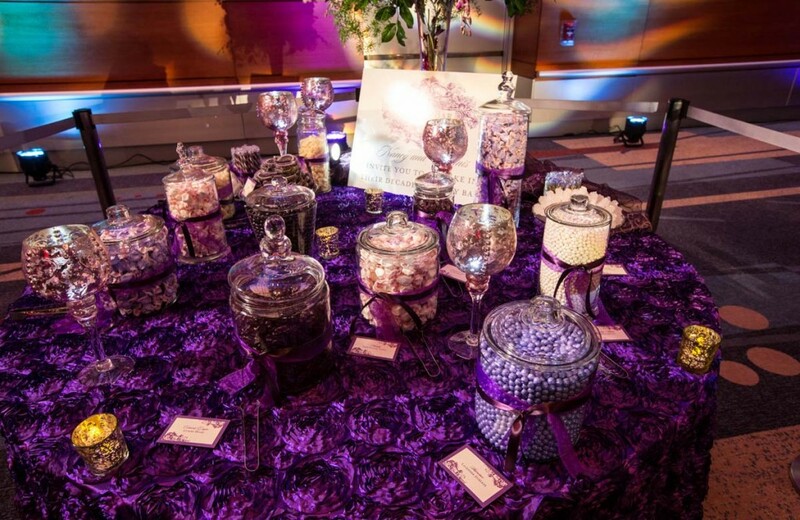 They are not only an interactive party favor, but also, a beautiful addition to your party décor. 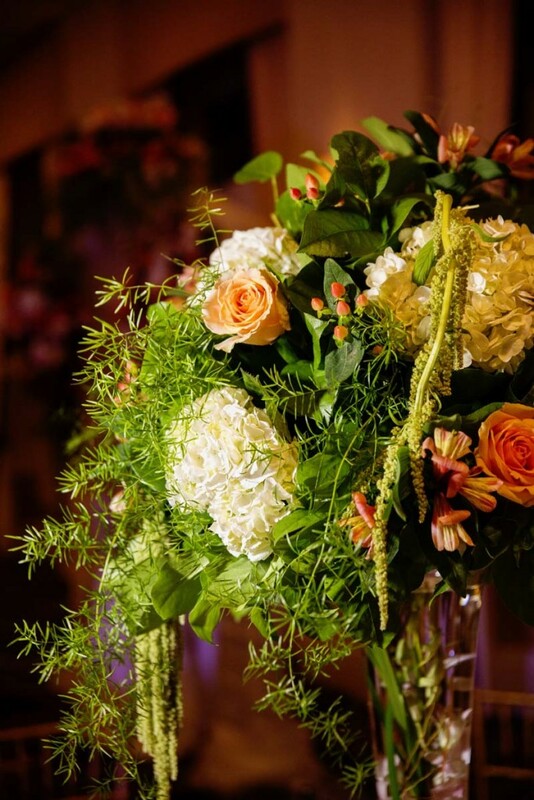 They will leave a lasting impression on your guests and set your wedding apart from the others. 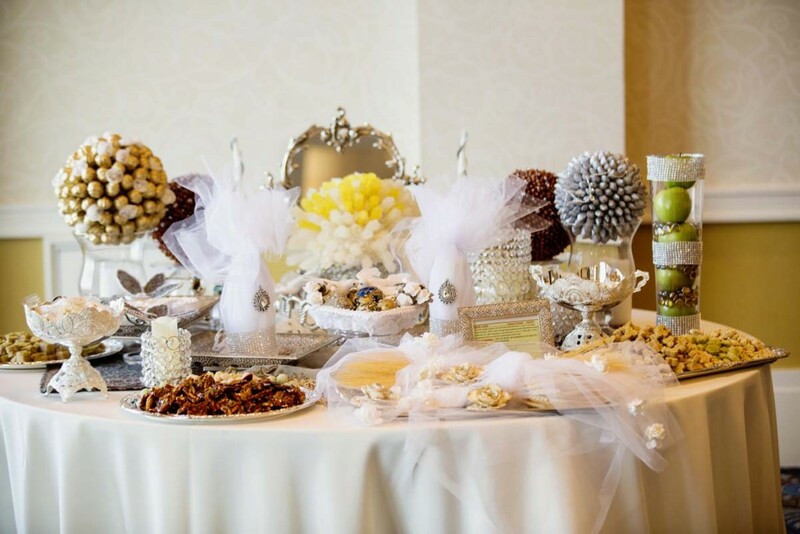 Whether you are looking for a fun and whimsical or classic and elegant feast, we make a custom buffet to reflect the style of your party. No two buffets are the same. 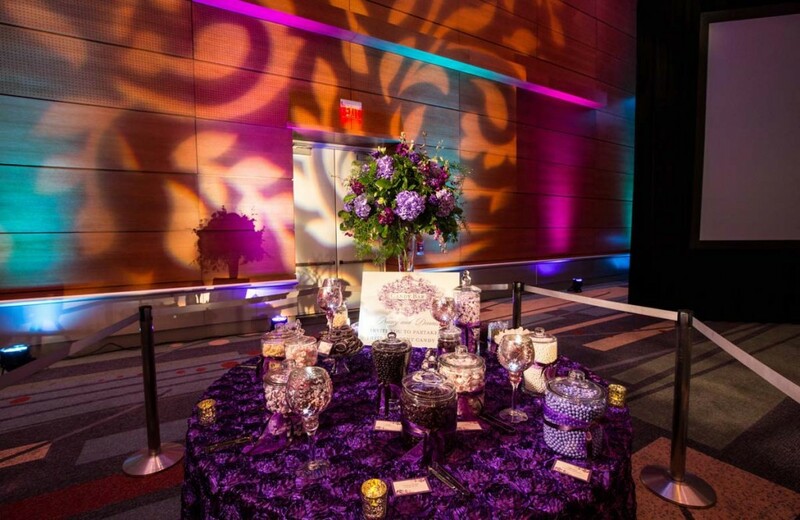 The colors, theme, and vibe of your event are taken into careful consideration. We pride ourselves on providing the freshest and most delicious treats. We guarantee on-time delivery and a professional staff to set up and clean up. 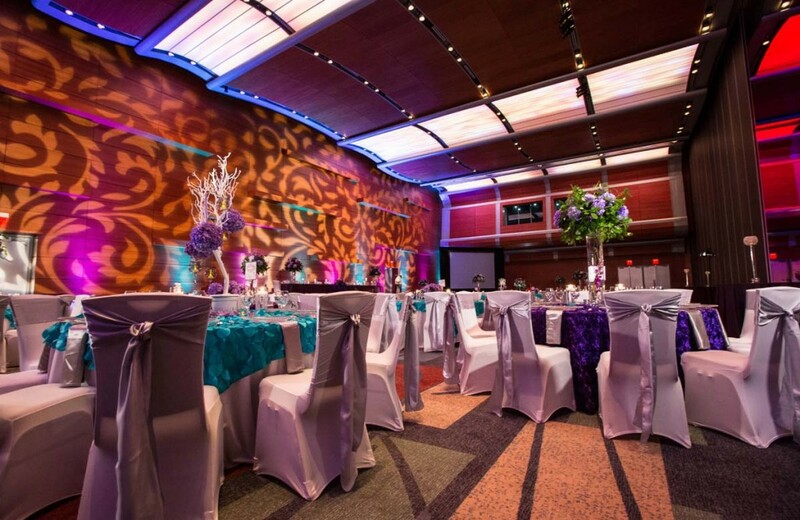 Attendants are also available for the duration of your event. 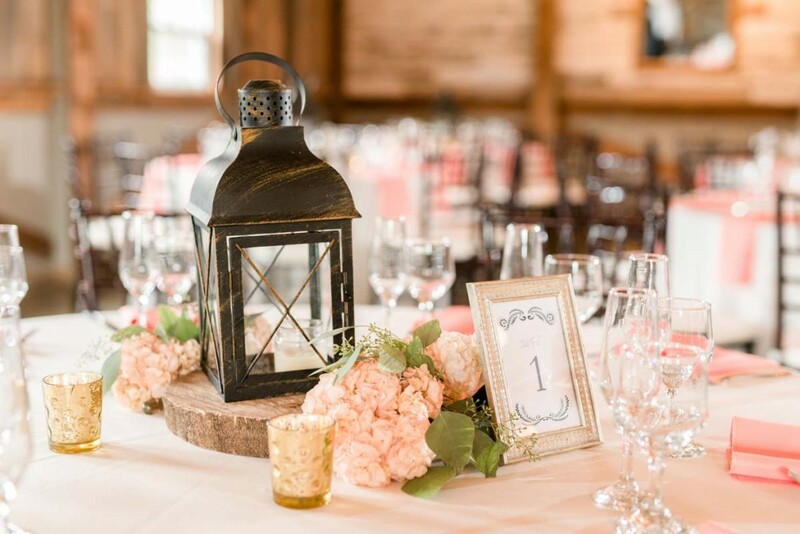 The rental of all jars, candy scoops, tongs, and basic linens are included. Specialty linens, flowers arrangements, custom banners, and balloon bouquets are available for as well.